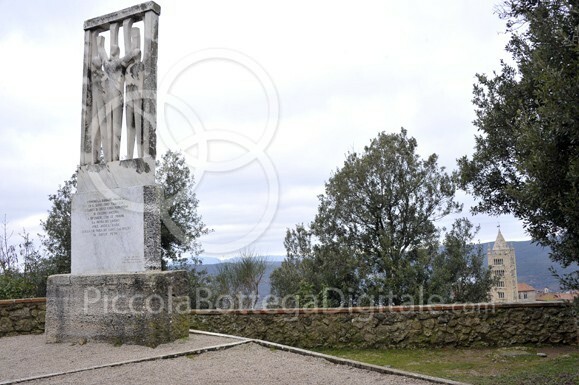 Erected in 1964 in the Parco of Poggio in memory of the victims of Niccioleta killed on June 13th and 14th, 1944 by the fascists. The monument is a marble sculpture Nardo Dunchi of Carrara, who was also a partisan hero. The sculptor was one of the inventors of the system that allowed the recovery of the temples of Abu Simbel in Egypt, after the construction of the Aswan High Dam.